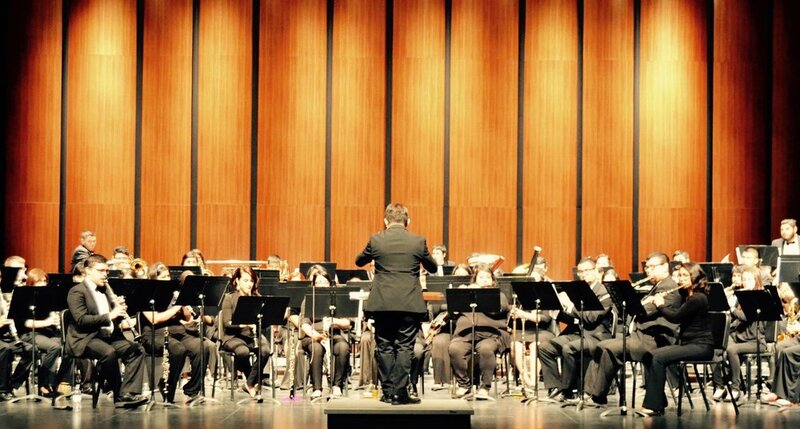 Mathew had his debut as a composer and conductor with the premiere of his take on Simple Gifts with the UTRGV Brownsville String Orchestra in October 2011. He is extremely grateful for Dr. Martha Placeres's encouragement throughout the years. Their collaboration has spanned several years and three states. Mathew has gone on to conduct his works for chamber ensembles, concert band, and orchestra at the The National Flute Convention in 2013, the Texas Music Educator's Conference from 2015-2016, ClarinetFest in 2016. He is extremely thankful for the opportunities given by Dr. Cristina Ballatori and Dr. Jonathan Guist. Mathew was the winner of the UTRGV Brownsville Concerto / Aria Competition - Instrumental Conducting Division. He was given the opportunity to conduct Rimsky-Korsakov's Dance of the Tumblers with the UTRGV Brownsville Symphony Orchestra in concert in April 2014. Mathew is currently studying conducting as a Master of Music at Oklahoma City University. He is studying with Dr. Matthew Mailman (winds), Dr. Randi Ellefson (chorus), and Prof. Jeffrey Grogan (orchestra). Mathew is extremely grateful for the professionalism and expertise of his teachers.